This is the latest CD single from the excellent Spiha. The CD single also includes the first track the band ever recorded back in 1998 and 3 videos you can see on your computer or most DVD players. Icebreaker is a pretty damn commercial rock track to begin with but then it gets heavy and jams out at the end much like the original version. A really cool song. Multiperspective is a very strange song with weird synths, funky bass lines and eerie keyboards to start the track. It actually reminds me a bit like Pink Floyd meets David Bowie or something of that nature. A very cool experimental psychedelic rock track. All three tracks are from the Egoreactor CD and this includes Altamont, If I Ever Let You Go and Samurai Of Sound. All 3 songs are taken from a live gig and use a single camera video but very high quality and good audio as well. It looks like it was filmed at Tavastia Club in Helsinki. Great stuff! 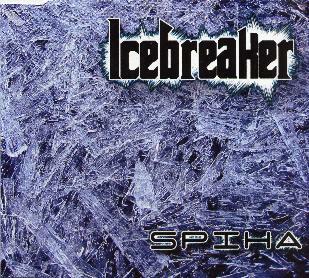 Icebreaker is distributed by Low Frequency Records. You can visit their web site at: http://www.lowfrequencyrecords.fi.